Business owners always feel a certain degree of stress. They have to manage their finances, handle employees, and protect all of their interests. Each day is an adventure when it comes to running a company. There is a lot riding on each decision and dealing with legal issues should be left to the professionals. 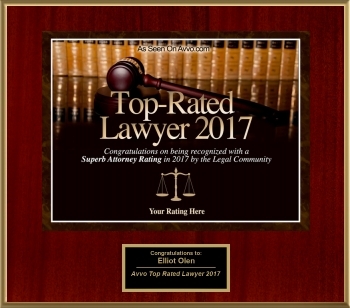 Elliot Mark Olen at Olen Law Office is a Philadelphia business lawyer who specializes in business law. They represent both small and large businesses. These companies may be newly organized or have been in operation for years. Pennsylvania business attorney Elliot Mark Olen is the person to turn to for legal representation. Mr. Olen and his team have been saving companies money for years by protecting their interests. A confession of judgement is most often connected to a financial contract. This clause is becoming more common in Philadelphia loan arrangements. The borrower and lender sign an agreement where the lender can enter Judgement if the loan is defaulted on. The person borrowing money essentially waives all rights when signing any legal papers that refer to a confession of judgement. This also pertains to liability claims that include financial compensation. Pennsylvania allows such transactions that involve business leases and loans. Anyone who is considering such an agreement should consult with Olen Law Office before proceeding. An asset sale often follows a default of payment. The company’s assets are sold to a third party to increase cash flow or reduce the debt. This type of sale can include either tangible or intangible assets. Tangible assets are those with a physical presence such as property and inventory. Intangible assets can include patents, company name, and other non-physical elements. Elliot Mark Olen is a PA business attorney who understands how difficult building a business can be. Olen Law Office has a team of experts who work together to protect their clients’ business interests. Mr. Olen is well known around the Pennsylvania area for helping companies during all stages of growth. He is the man to see when businesses are looking to protect their interests. He can answer any questions and offer legal advice.